The products shown here are just a sampling of the many wonderful options available to you at The Rubin Health Center in St Petersburg Fl. We have a large assortment of natural remedies and products to help you to feel and look better naturally. Natural Calm: promotes healthy magnesium levels and will balance your calcium intake. This will help you relieve stress and help you to relax. Balancing magnesium and calcium in your body is important. Calcium makes our muscles contract and magnesium allows them to relax. Calcium is important for blood clotting and magnesium keeps your blood flowing, so you can see why it’s important to keep calcium and magnesium in balance. Click on the link above to read more about this incredible drink. Your body was not designed for our modern lifestyle, which involves long periods of sitting and inactivity. Maintaining proper posture using a computer, driving, watching TV, or during most daily activities is hard to do. Poor posture is caused by Tight Tonic Muscles, which are responsible for holding your posture in place, so when they’re constricted they make it more difficult to achieve and maintain correct posture. Weak Phasic Muscles are used for dynamic movements. They can weaken and lengthen, making you more prone to slouching instead of remaining upright. 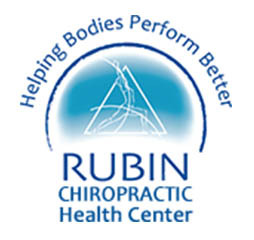 You can offset your modern lifestyle by actively caring for our postural muscles. The Posture Medic was created for this purpose. We cannot simply rely on being conscious of our poor posture. Periodically remembering to sit or stand up straight will not create lasting effects. Click on the Link above to learn more about how to correct this common problem. Rock Tape helps athletes of every level go stronger, longer with the best kinesiology tape, cutting-edge education, and fitness support products. We want people to move more, and move better. Overworked muscles, or an achy back or arthritis pain affects millions of Americans. Biofreeze is a topical analgesic that uses the cooling effect of menthol, a natural pain reliever, to soothe minor muscle and joint pain. Bio Freeze penetrates quickly, giving you relief through cold therapy. It’s especially effective for use in conjunction with hands-on health care such as chiropractic, massage and physical therapies, and podiatry. Alternative Health Care Ventures (AHC Inc) DBA CRYODERM specializes in the development and delivery of scientifically researched natural remedies designed to address acute and chronic pain. Based on cutting edge herbal ingredients from around the world, AHC is committed to improving the health and lifestyle of people through natural healing. Whether you’re visiting your Chiropractor for pain, preventive care or to improve your athletic performance, Foot Levelers’ custom-made functional orthotics can help. Effectively release trigger points with gentle foot massage for myofascial release. Stretch and relax the plantar fascia. Excellent for treatment of plantar fasciitis or just tired feet. Roll the Foot Wheel® and search for tight, knotty or tender muscles. The Foot Wheel delivers potent myofascial release by stretching the plantar fascia and releasing trigger points. Frequent 30 second intervals will elevate response. The inflatable vestibular disc mimics both the movement and shape of the inflatable exercise ball when used on any seat. It acts as a dynamic cushion to activate major muscle groups. Use it on the floor as a standing disc for balance training, proprioception and strengthening of the lower extremities.